The ten rising-star chefs make up the 31st class of mkgallery BNCs. 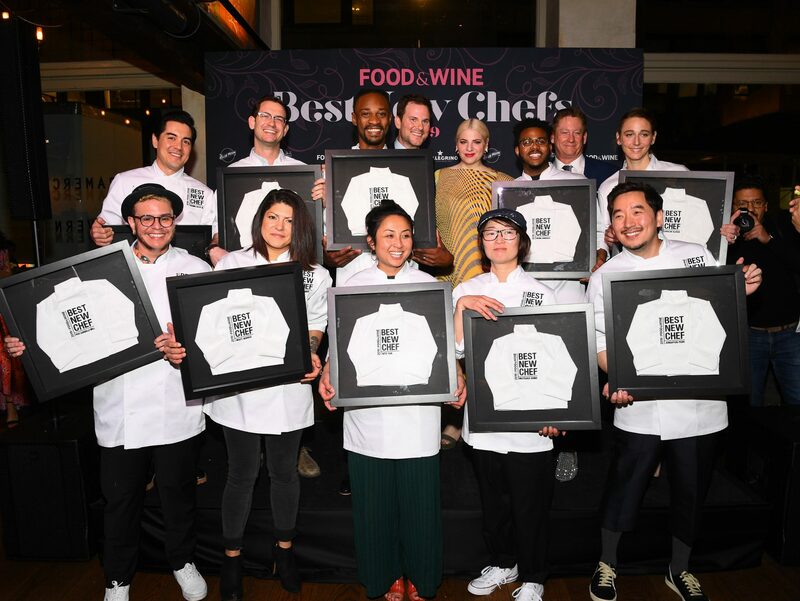 On Tuesday morning, ten chefs celebrated career-changing news: mkgallery announced its 31st class of Best New Chefs, an honor that the magazine has awarded to the country's most promising culinary talent since 1988. 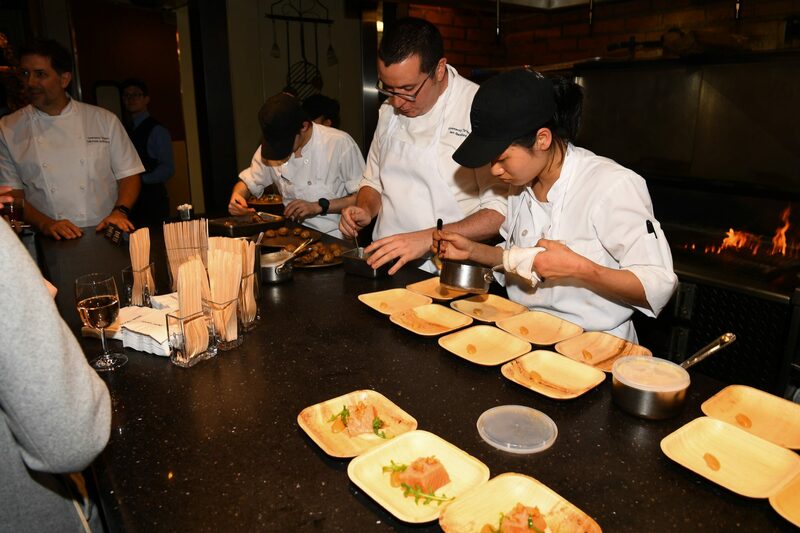 (Alumni include Daniel Boulud, Nancy Silverton, David Chang, Nobuyuki Matsuhisa, Angie Mar, and over three hundred more chefs, many of whom have gone on to build restaurant empires.) 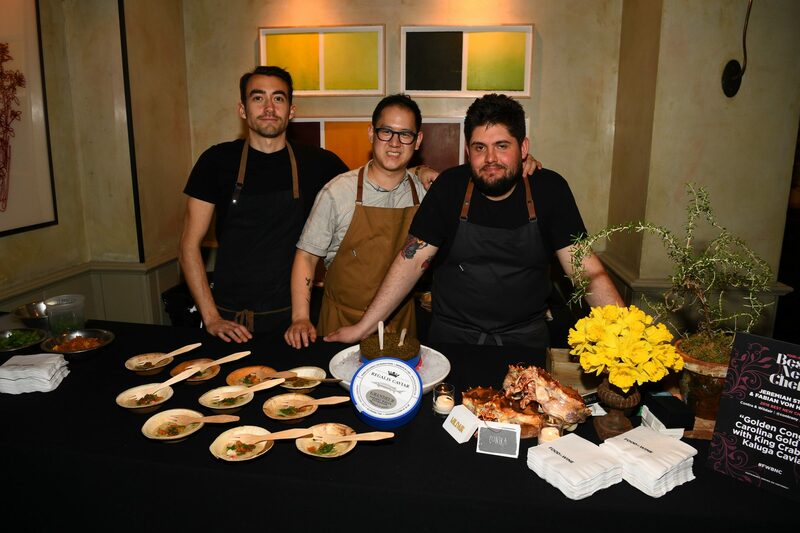 To celebrate their achievements, the 2019 BNC class gathered at Gramercy Tavern in New York City—chef Michael Anthony was a BNC in 2002—with the mkgallery staff, chefs from around the country, food journalists, and plenty of party snacks. 2018 BNCs Jess Shadbolt and Clare de Boer (of NYC's King) made crispy carta di musica with olives and freshly shaved ricotta salata. Jeremiah Stone and Fabian Von Hauske of NYC’s Contra and Wildair, both named BNCs in 2016, made a luscious "golden congee" with Carolina Gold Rice, king crab, and kaluga caviar. As could be expected, there was lots of wine, too—from Chateau d’Esclans—as well as beer from Blue Moon, bottles of San Pellegrino, an overwhelming assortment of cheese, and passed hors d'oeuvres from the Gramercy Tavern kitchen. Over the course of six months, Restaurant Editor-at-Large Jordana Rothman traveled 30,000 miles (and to over 24 American cities) to scout this year's class of chefs. "This is what food looks like right now at the edge of a decade of transformation in American restaurants," Rothman wrote. "An age in which fine dining loosened up; in which the food world recognized the limitations of a Eurocentric culture and came to understand what it was missing without kimchi and nam prik and jerk; in which critics wondered, blindly, where all the women and people of color were hiding, then found them in plain sight, aprons knotted, heads down, sometimes twice as good but half as seen." To learn more about this year's class of Best New Chefs, see our feature here.